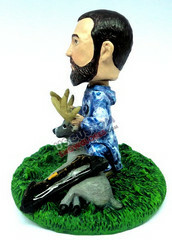 Our new Premium Line, this custom bobblehead doll features a male kneeling down with his trophy. 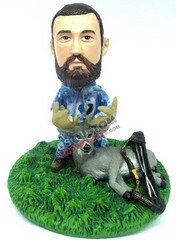 He is holding a deer and beside him is a bow. 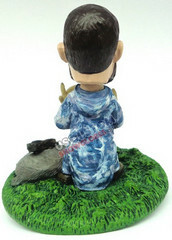 This premium design is full of detail right down to the grass.